The theme of the conference this year was “Between Worlds” Innovation and Design in Textiles and Costume and it was held at the University’s Sultanahmet Campus Rectorate. In addition to the program presenting research papers from twenty different countries, there were four important exhibitions and accompanying social and cultural visits in and around Istanbul. Amongs these events were exhibited the works of invited national and international textile and fashion artists, amongst which were, notably Reiko Sudo from Japan whom joined the exhibition with a special section ‘Playful Vision: Reiko Sudo & Nuno’s Textile Imaginings’ together with Suhandan Ozay Demirkan, H.Reyhan Kaya and Ayten Surur all from Turkey displaying innovatory textiles. 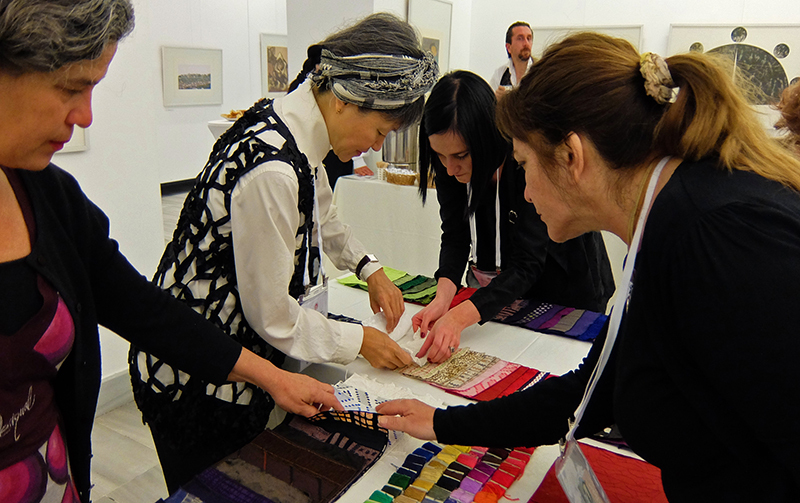 Reiko Sudo also provided a conference workshop ‘Tsugi-Hagi’ which was fully subscribed. Jarno peltonen from Finland Virkki Foundation made a speech on Contemporary Finnish Textile Art as one of the key note speakers. Fashion Futures was a section of the exhibition were fashion designer Joanna Hawrot from Poland made a presentation titled ‘Fashion As Art’ as key note speaker, resinated alongside home grown artists such as Selcuk Gurisik. 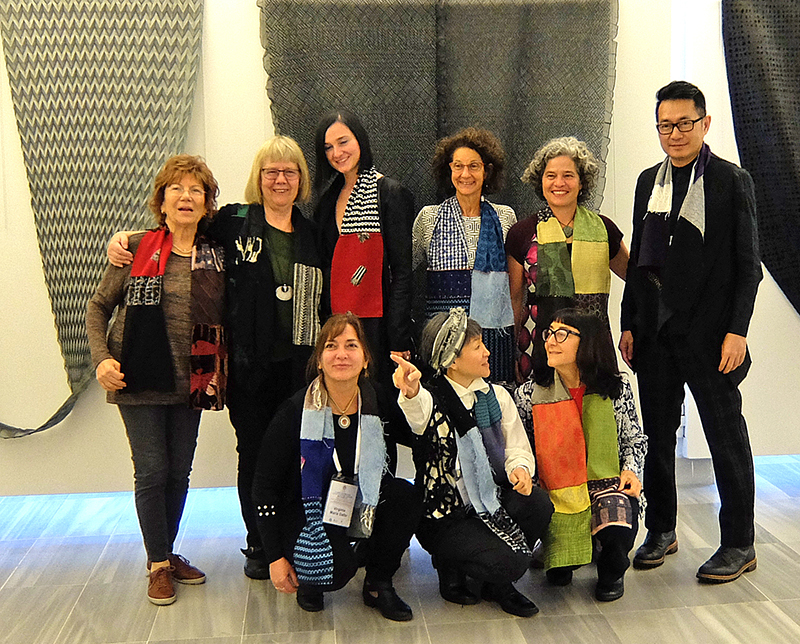 Textile Art was debated by Beatrijs Sterk which resonated with many of the femail artists national and international. Sterk’s talk was on ‘Textiles in Contemporary Art’. 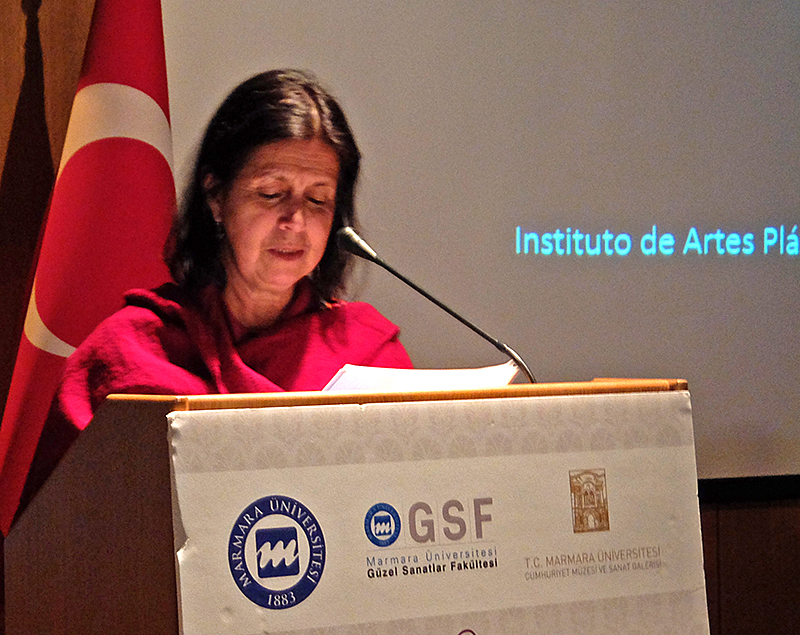 Perspectives on Heritage were exposed in the”Journey of Textiles Through Anatolian Costume” taken from the collection of Sabiha Tansug and held at the Nevmekan Baglarbasi Kongre ve Kultur Merkezi, in Uskudar with the contribution of Üsküdar Municipality which was main sponsor of the Congress. Closely linked to this theme were both formal and informal garments made in the late 19th and early 20th centuries, selected by Prof Dr Hulya Tezcan and taken from the Sadiye Ulusoy Koleksiyonu, and which were curated and exhibited at the Hünkar Kasrı and supported by the İstanbul Chamber of Commerce. 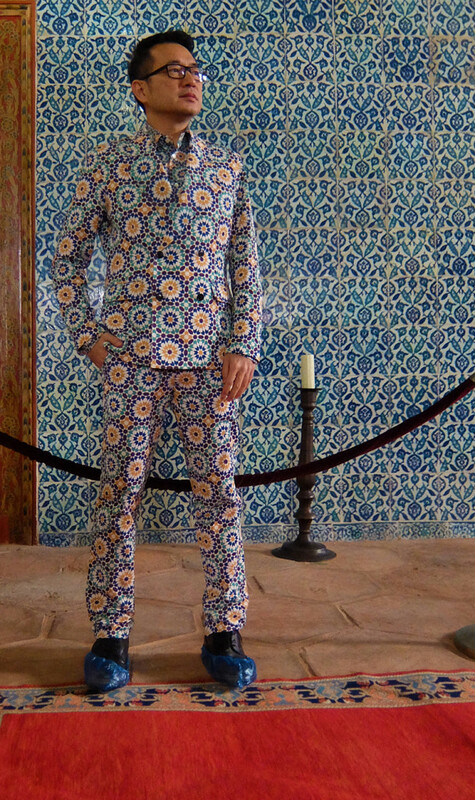 Fashion Futures and Innovative Textiles relating to the conference theme were especially exhibited by İTKİB at Beylerbeyi Palace in Uskudar. The work exhibited her was 21st century and resulted from their 2014-15 Textiles and Fashion competition and displayed the prize winners and “runners up”. 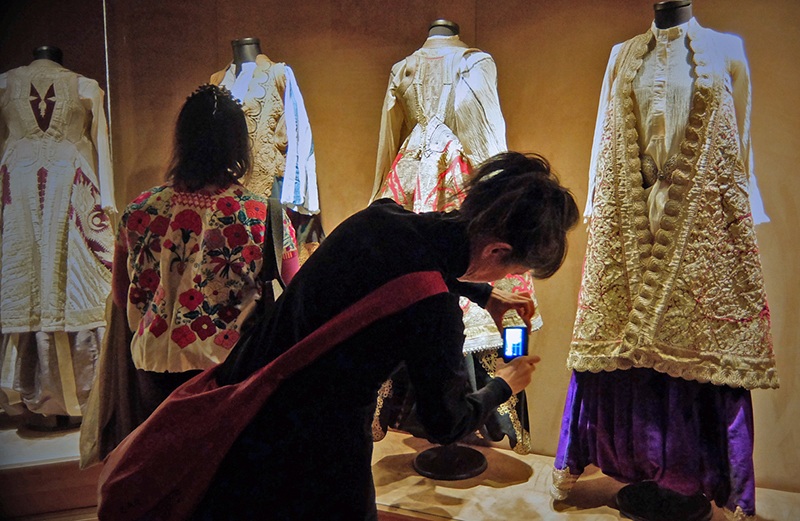 There was a visit to the Sadberk Hanim Muzesi Koleksiyonu where conference delegates were received by the Museum Director Hülya Bilgi and Head of The Department Textile, Costume and Fashion, Dr. Lale Görünür who explained the scope and range of this late Ottoman textile and costume collection. 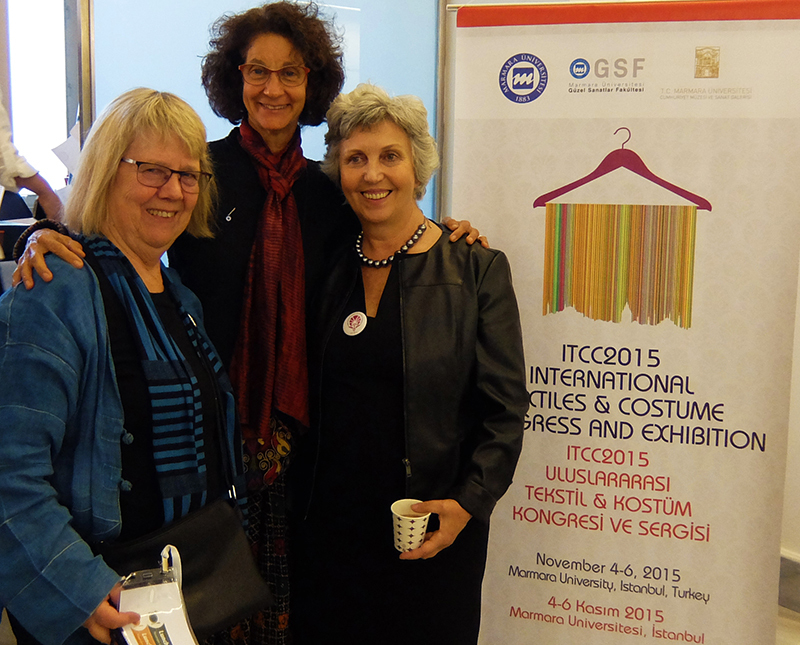 TETSİAD and DENIB were also amongst the supporters of the ITCC 2015 Istanbul Congress. As representative of Denib and Detgis, İsa Dal made a presentation on Turkish Towels. It is considered that this years ITCC conference hosted by Marmara University was a huge academic and research success and as can also be seen from the conference proceedings book published by TTSIS framing high quality papers (please see ISBN 978-605-87108-4-9 located at the British Library in London or contact the university). 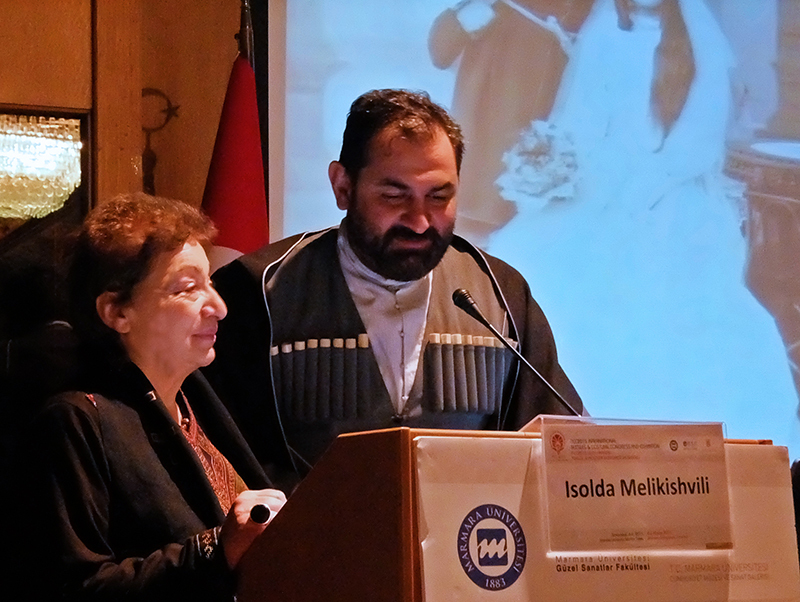 Talk by Luarsab Togonidze and Izolda Melikishvili at the ITCC-2015 International Textile -Fashion Congress 2015 in Istanbul, he a collector and she one of the best scientific researchers of Georgian Dress. 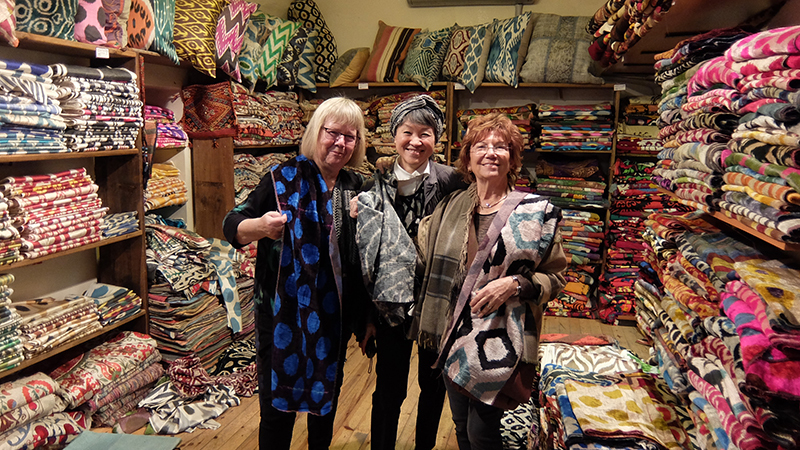 From left: Beatrijs Sterk, Reiko Sudo and Suhandan Özay Demirkan at the Grand Bazaar Istanbul looking for handwoven velvet!